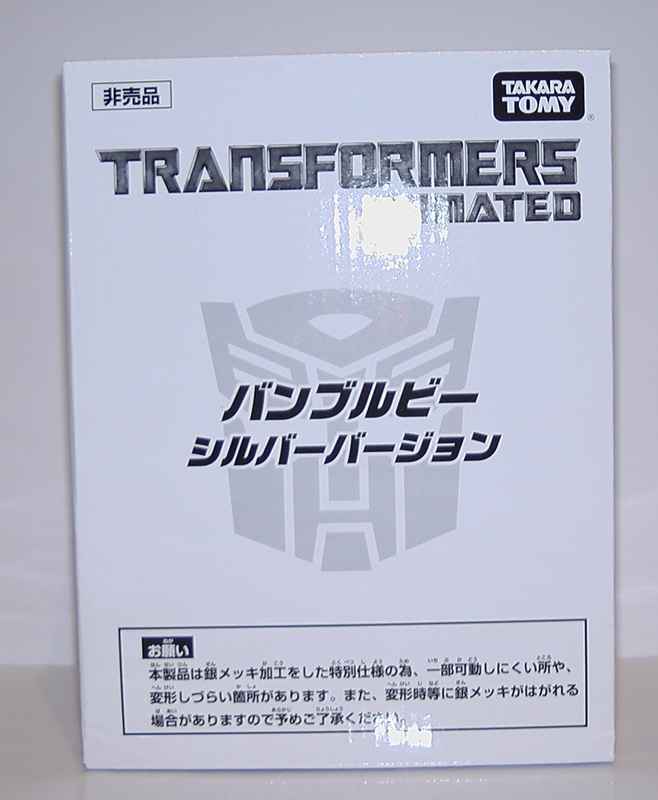 TakaraTomy announced, on August 24th, that a campaign would run from the 18th September 2010 until 31st October 2010 at the Bic Camera and Edeon Group stores. 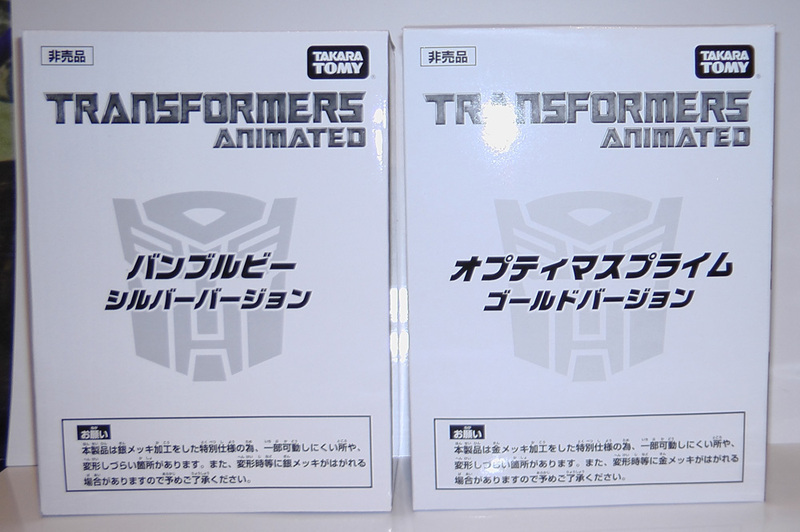 To enter the campaign, you need only make a purchase of Transformers figures (except EZ Collection figures) worth more than Yen 3000. 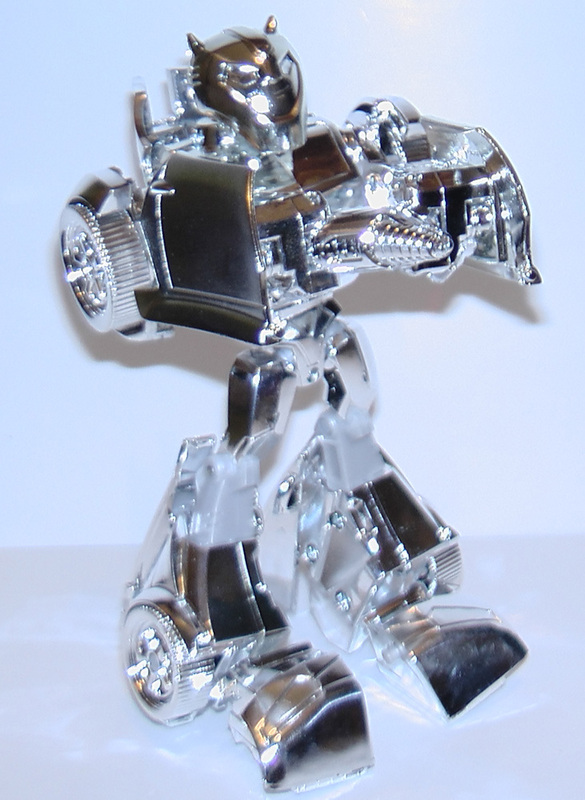 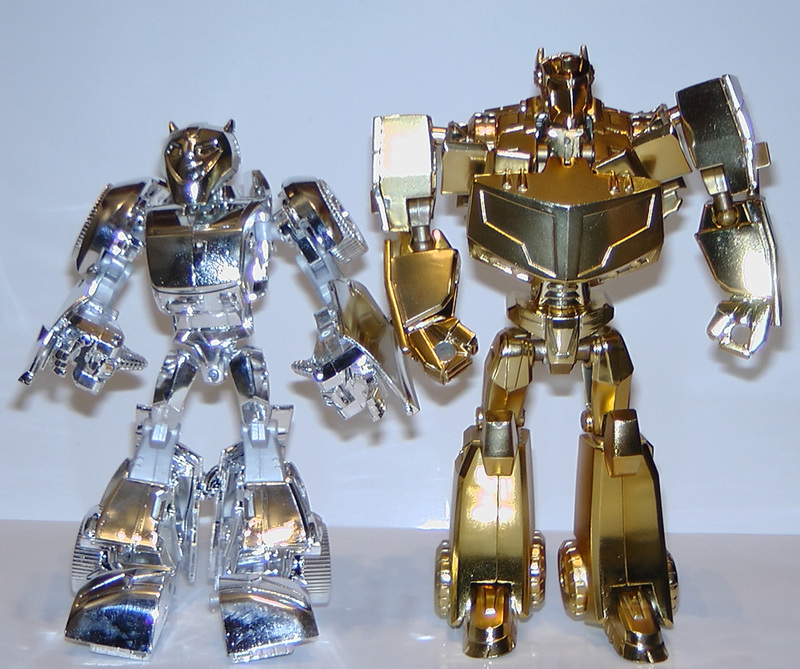 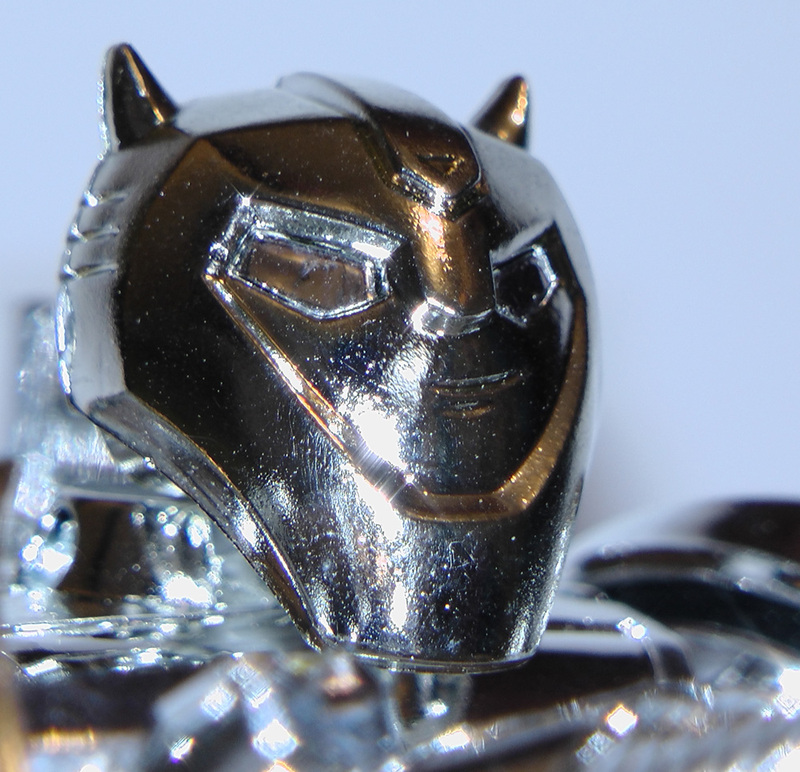 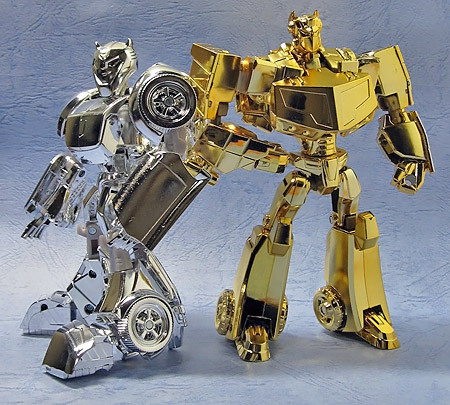 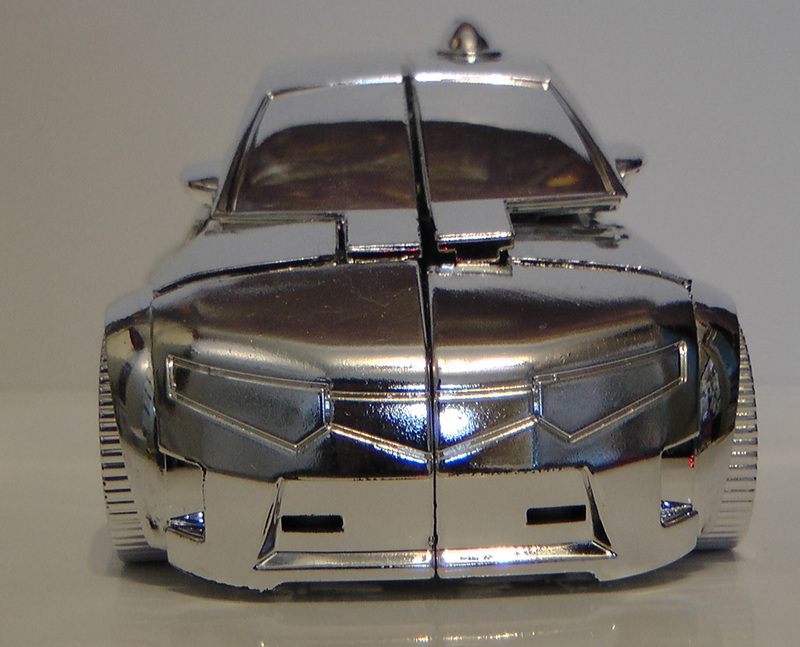 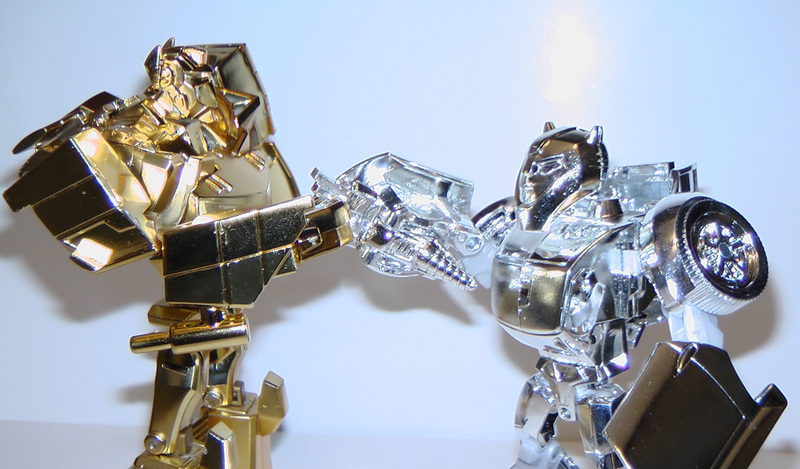 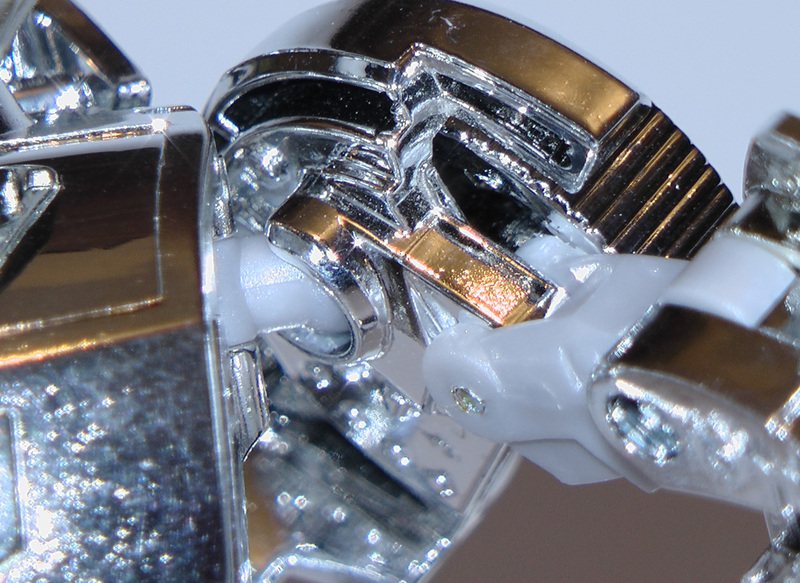 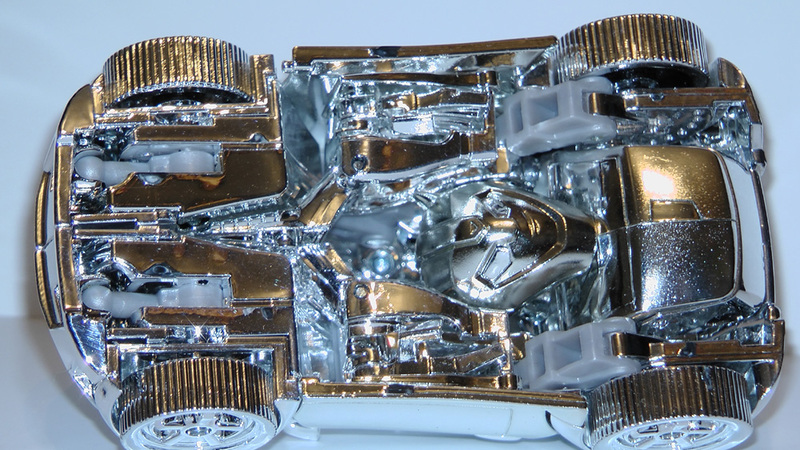 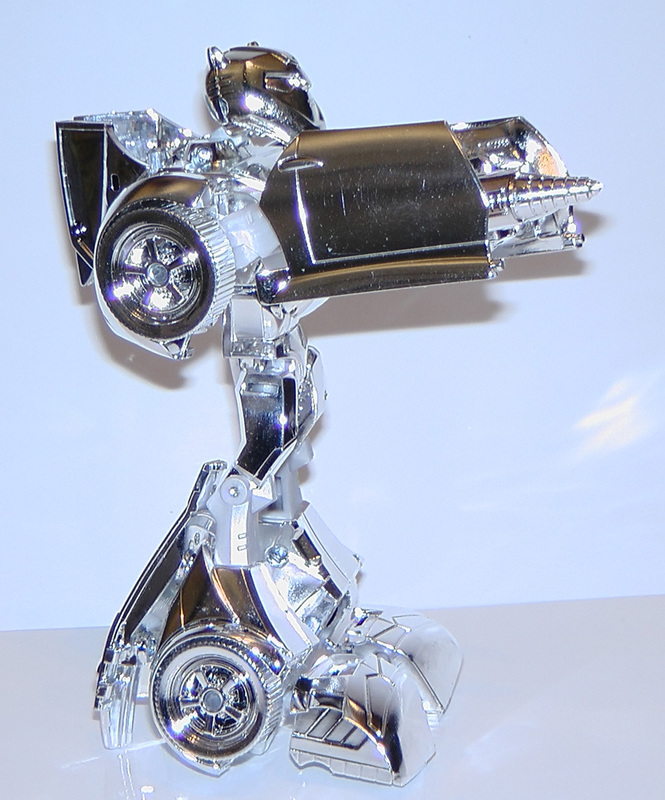 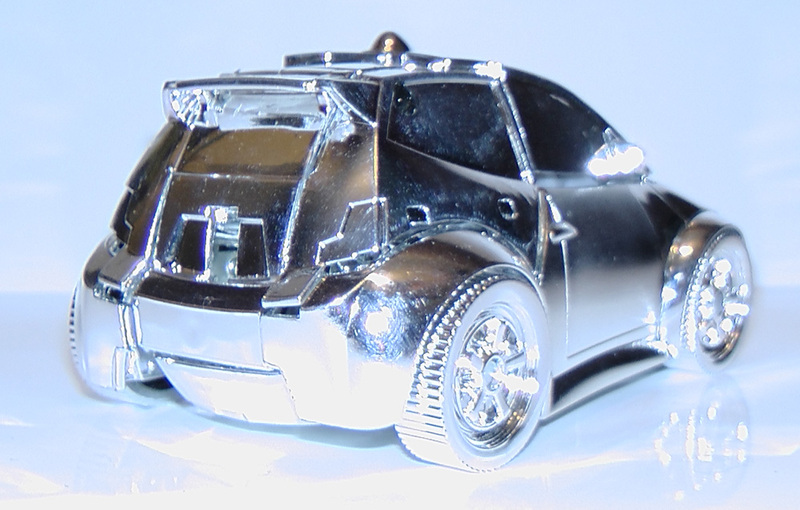 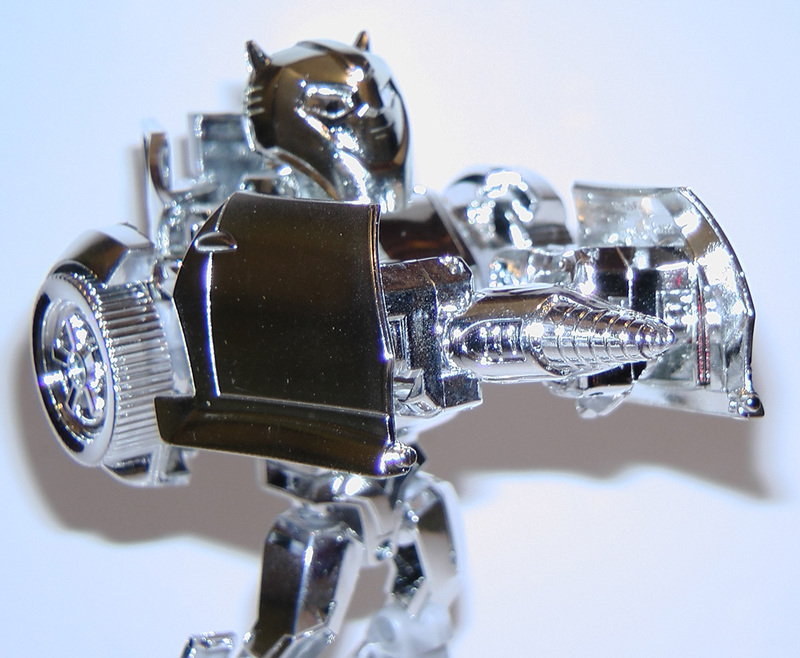 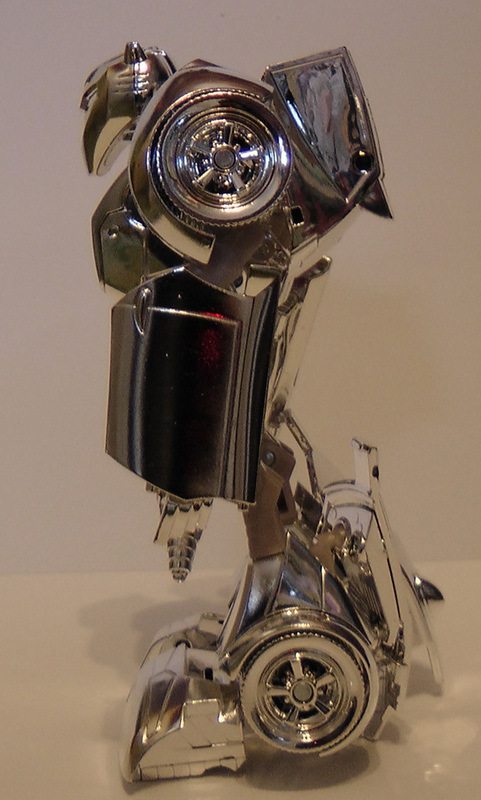 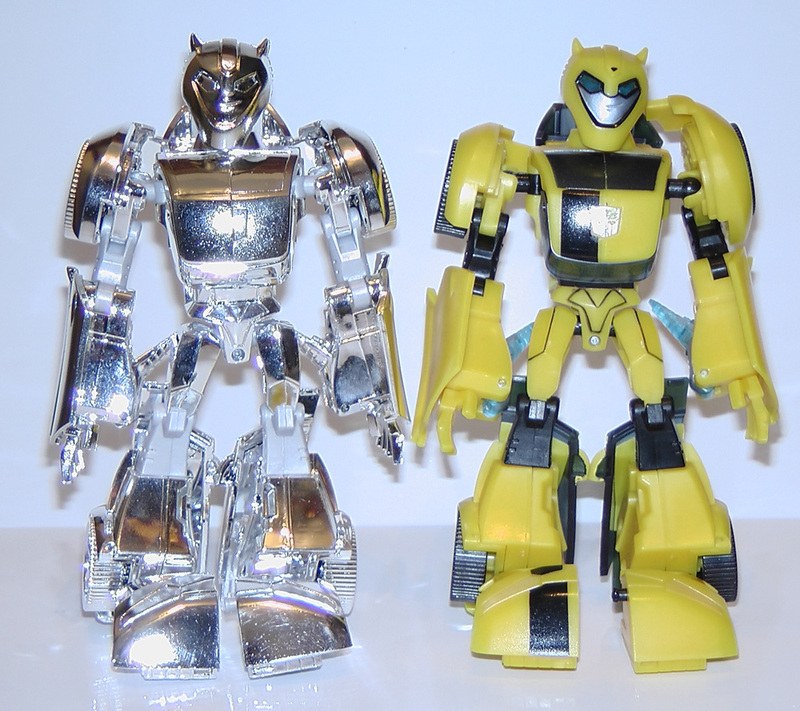 The winners, 20 from each chain, would go on to receive a silver chrome Transformers Animated Bumblebee. 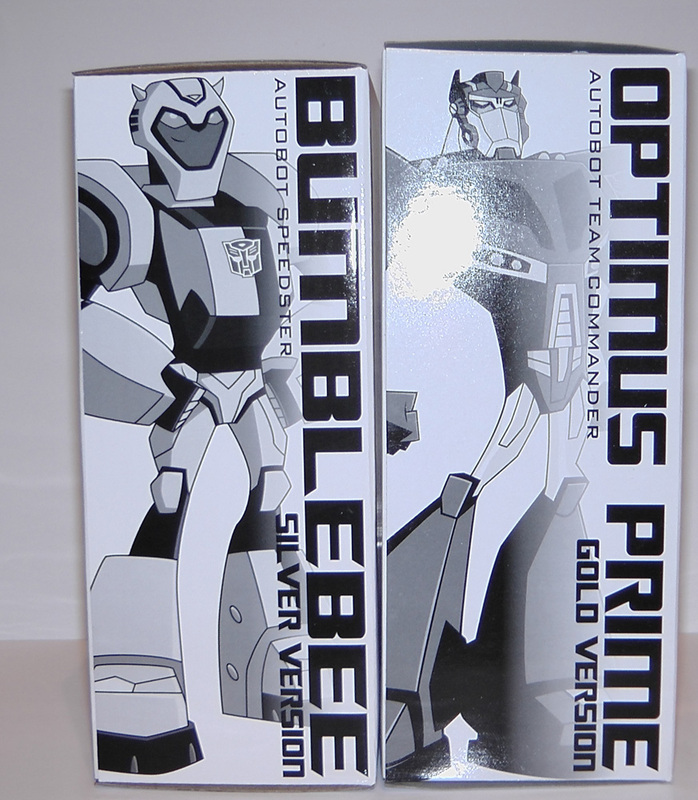 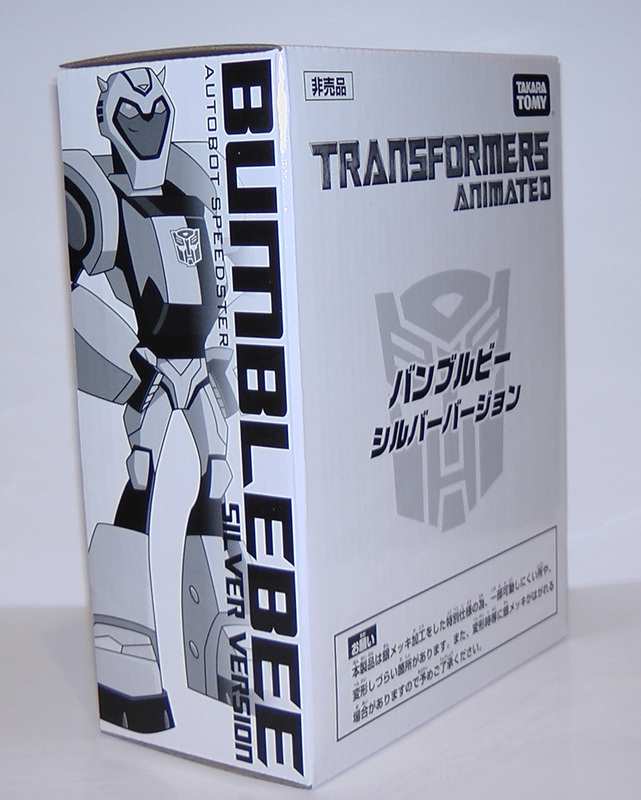 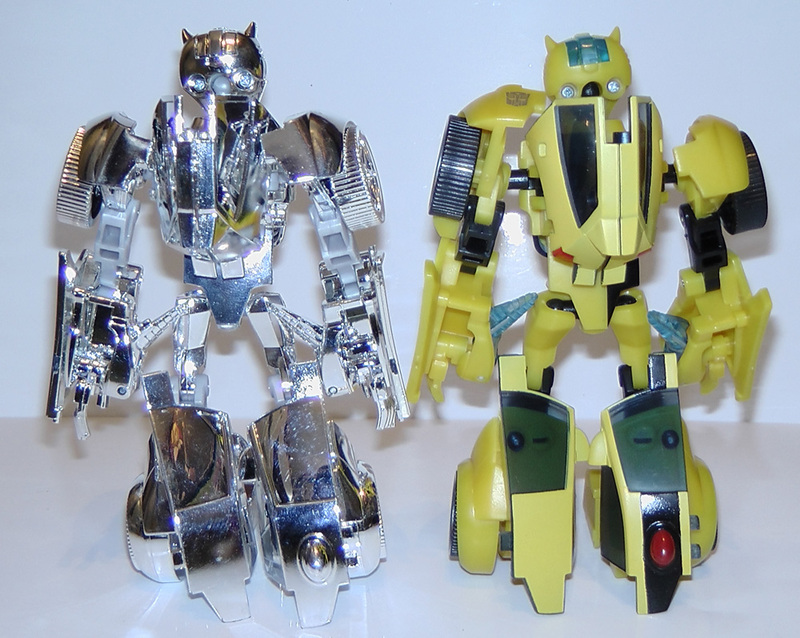 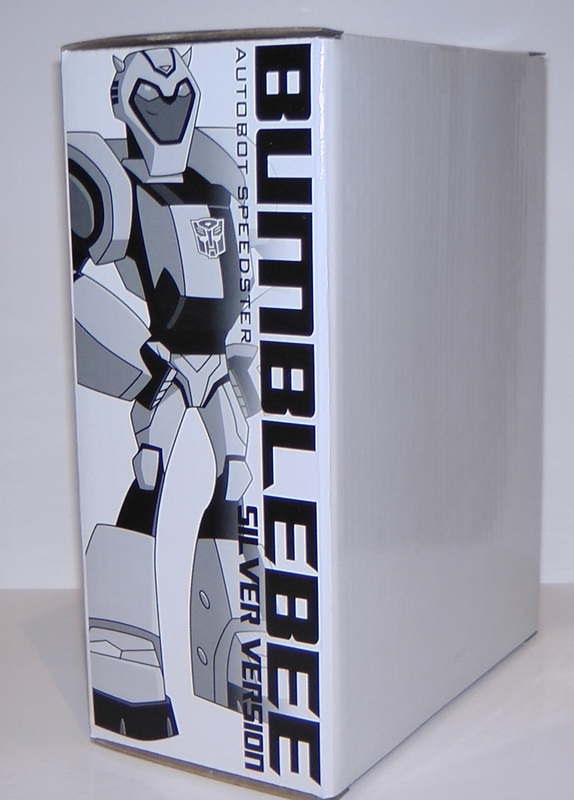 Unlike the Gold Animated Optimus Prime and Gold Animated Megatron figures, the Silver Bumblebees were not leaked out to online dealers and, to date (30th Dec 2010) I know of only one that has traded hands, the one photographed here. 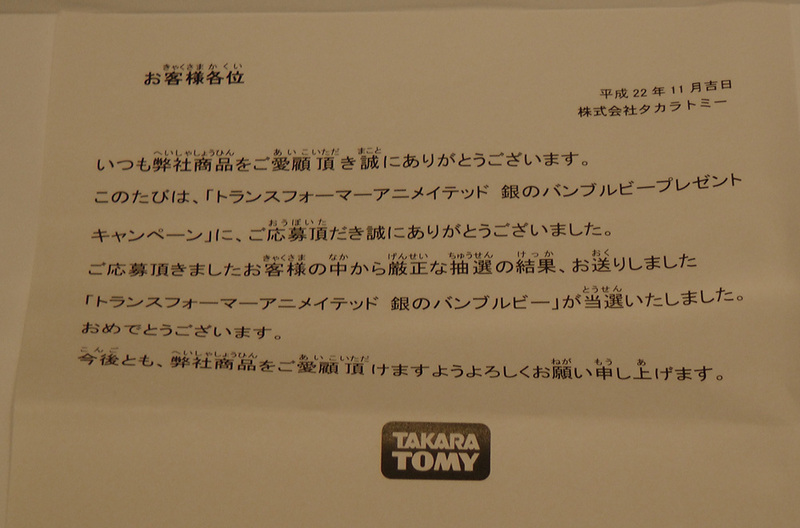 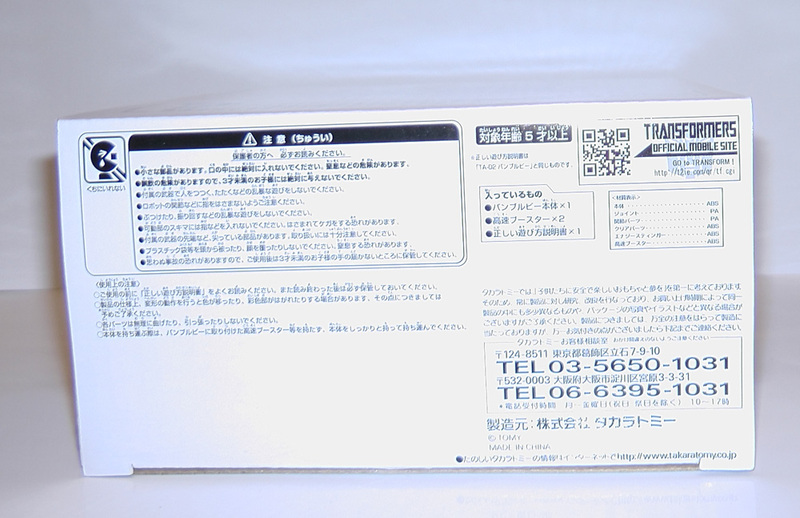 This gallery contains images of the letter than accompanies the toy, showing that the figure was won and is not a factor leak. 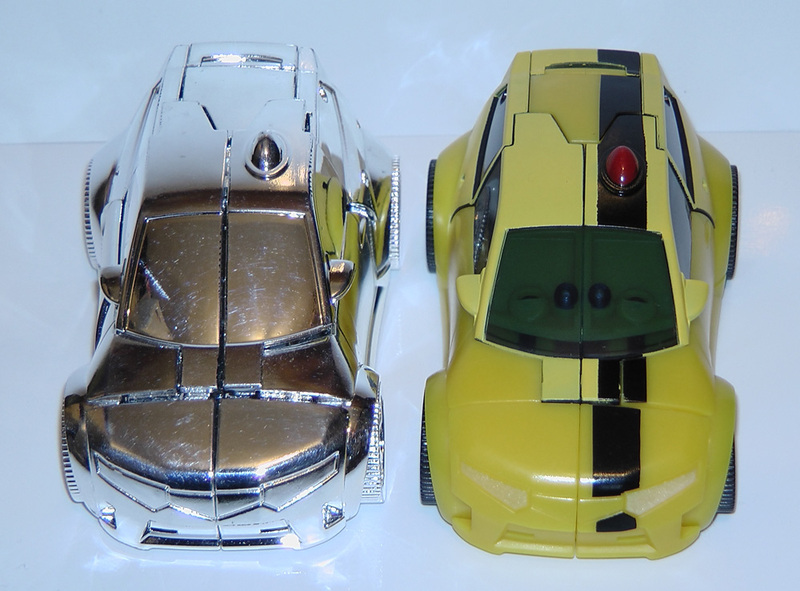 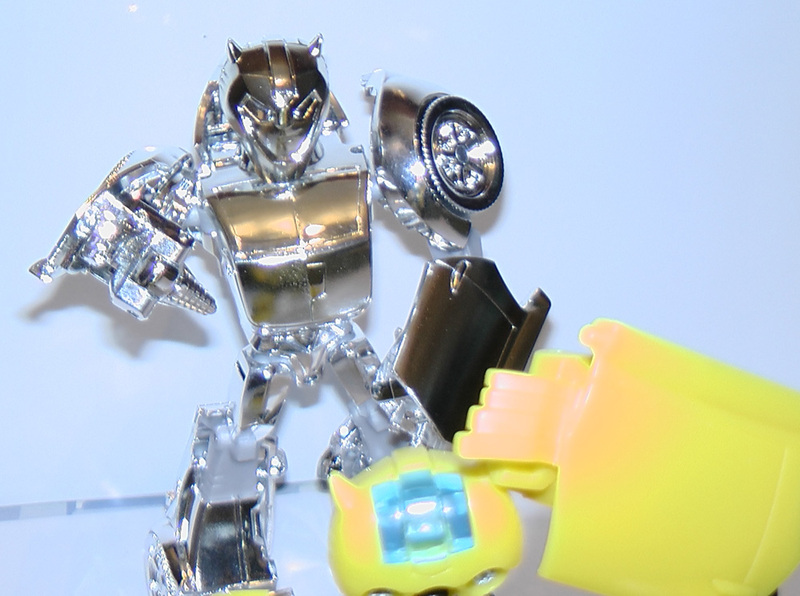 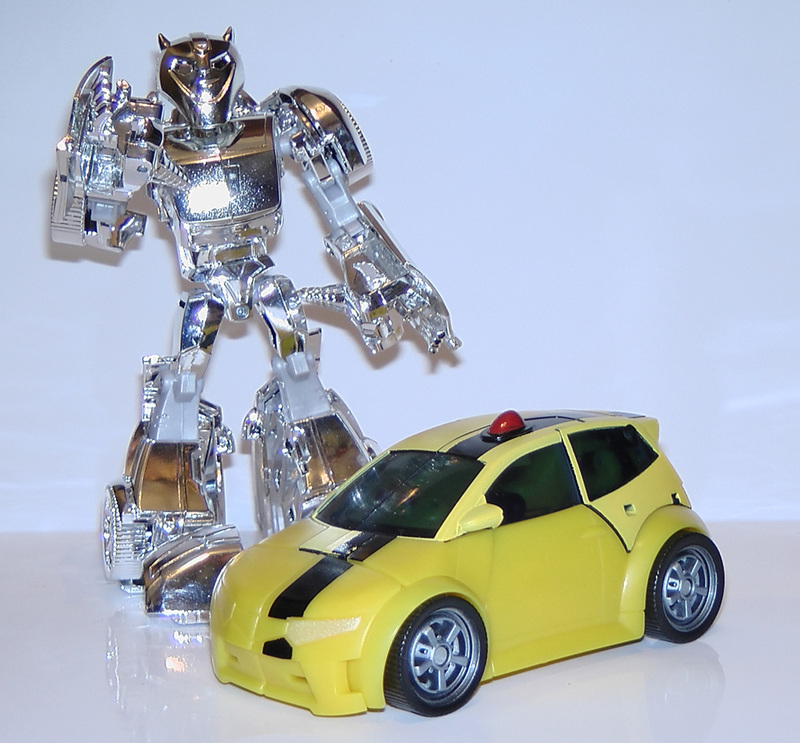 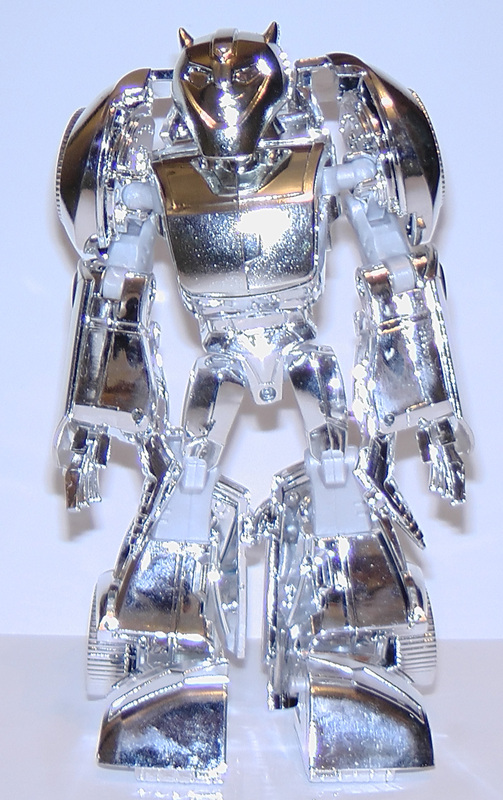 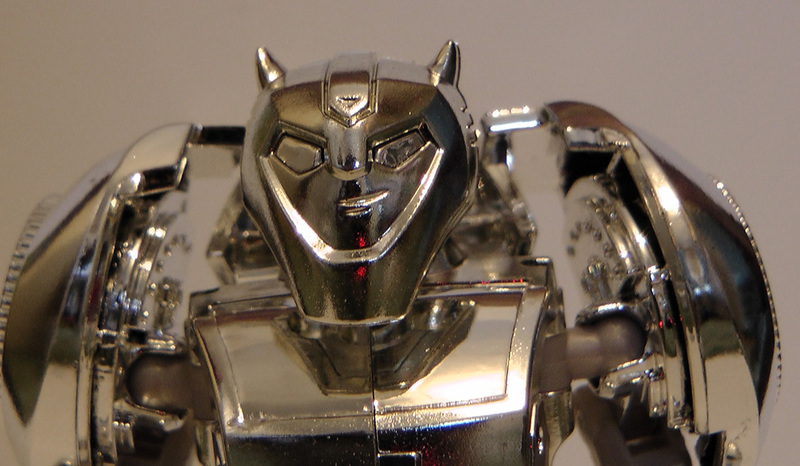 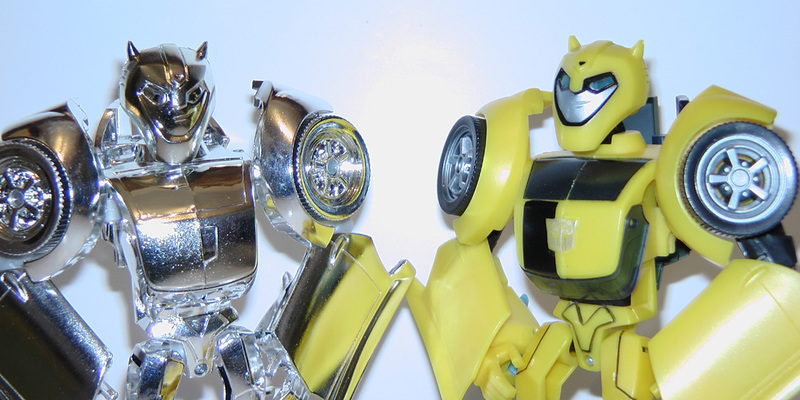 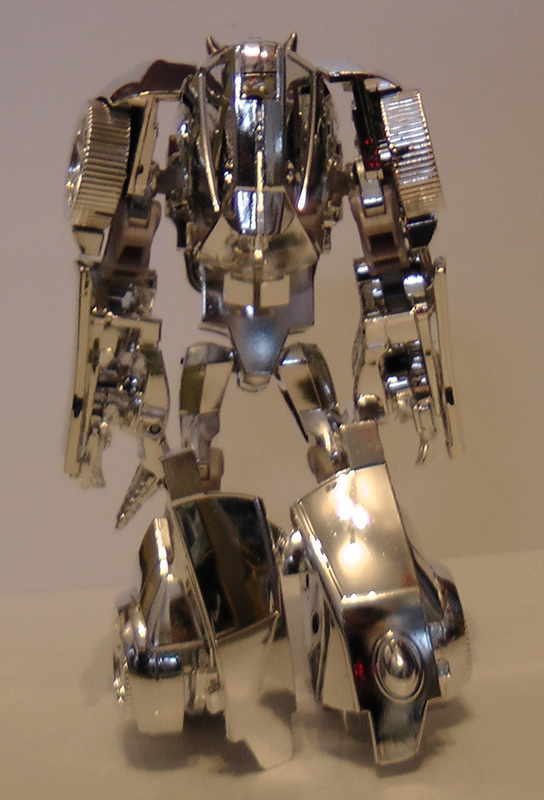 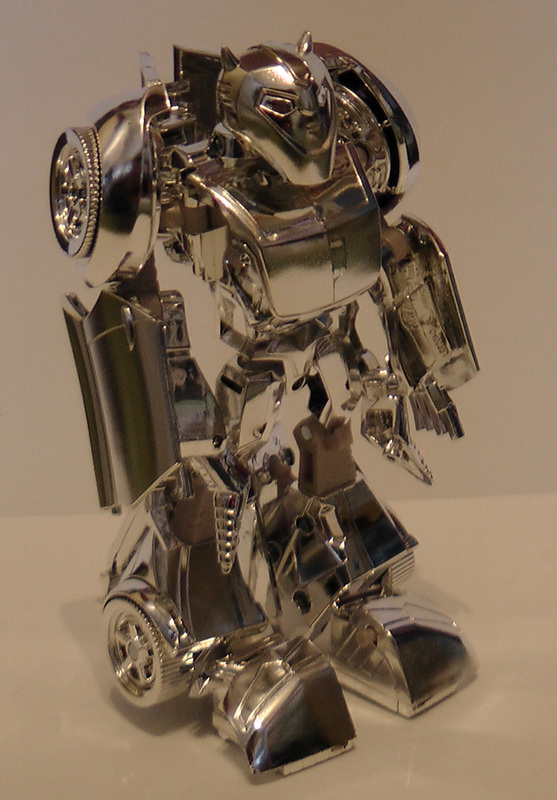 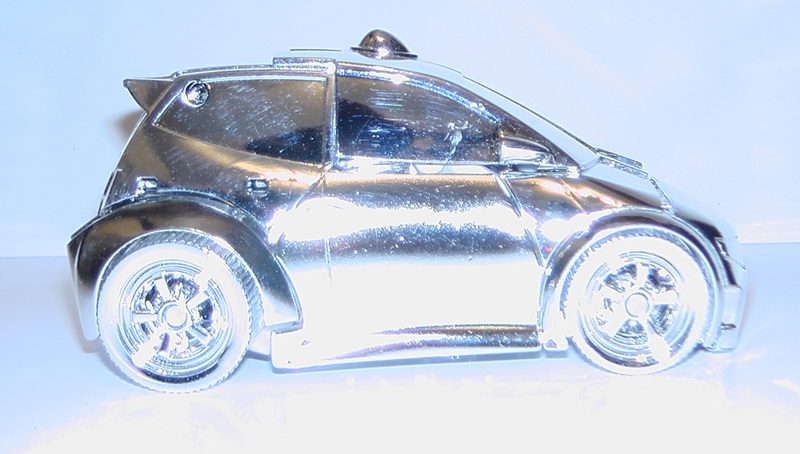 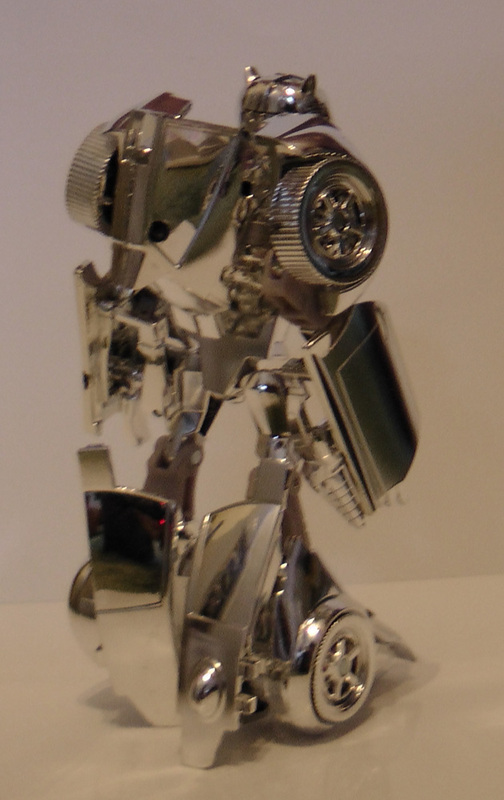 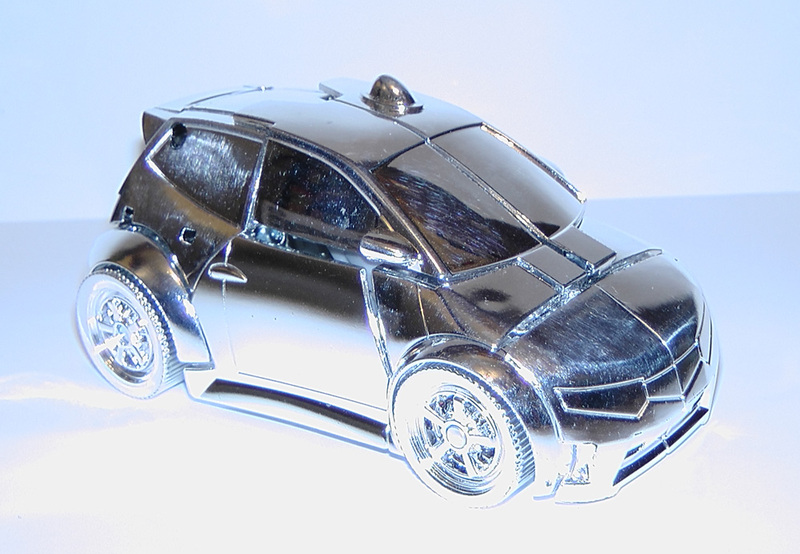 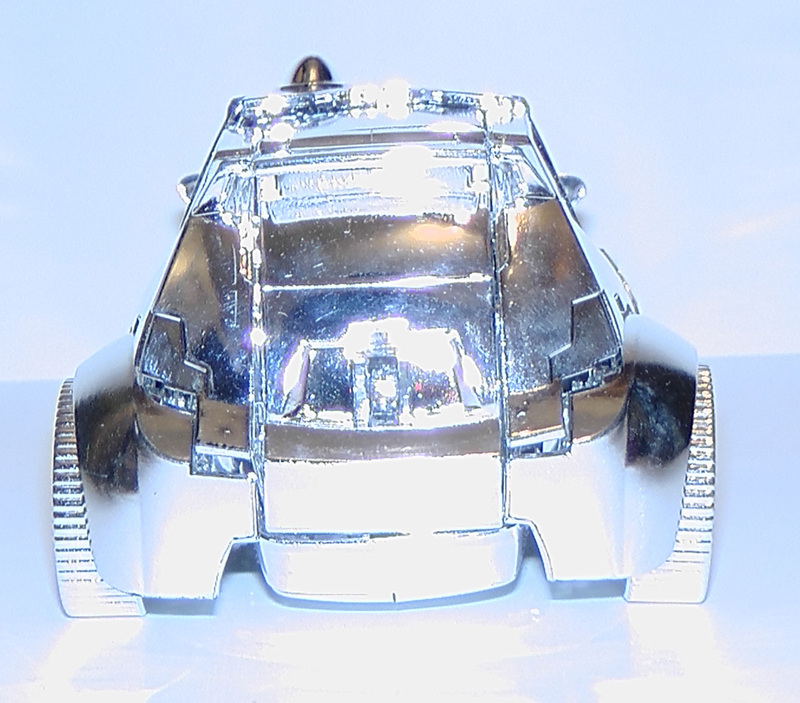 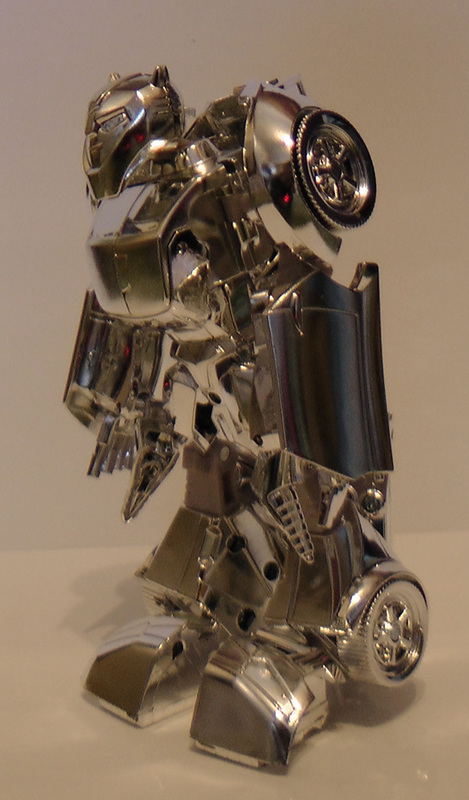 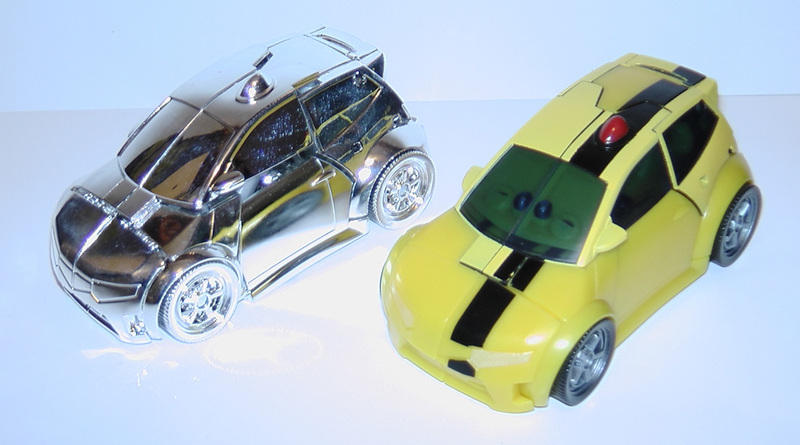 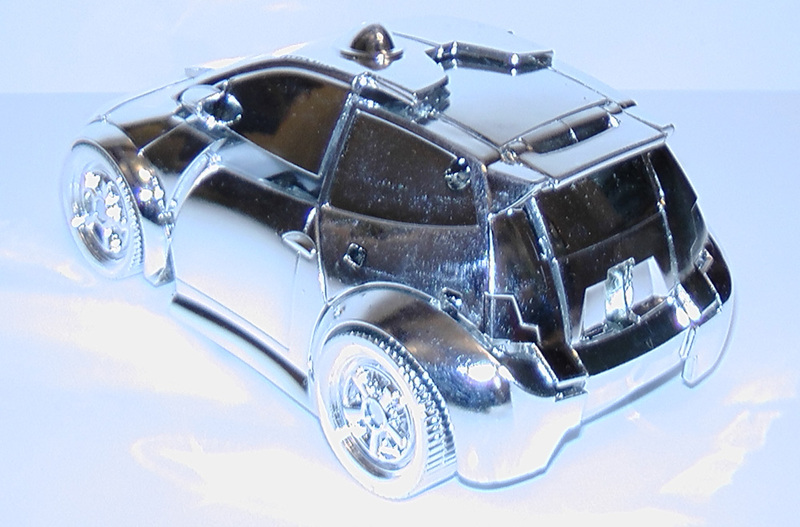 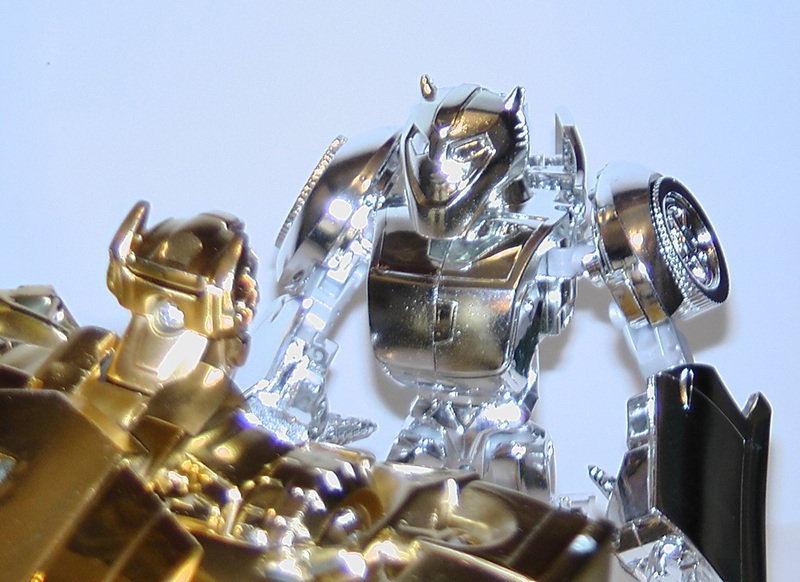 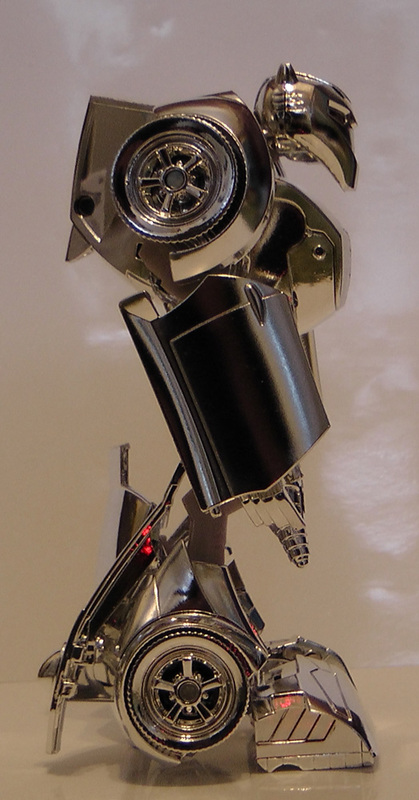 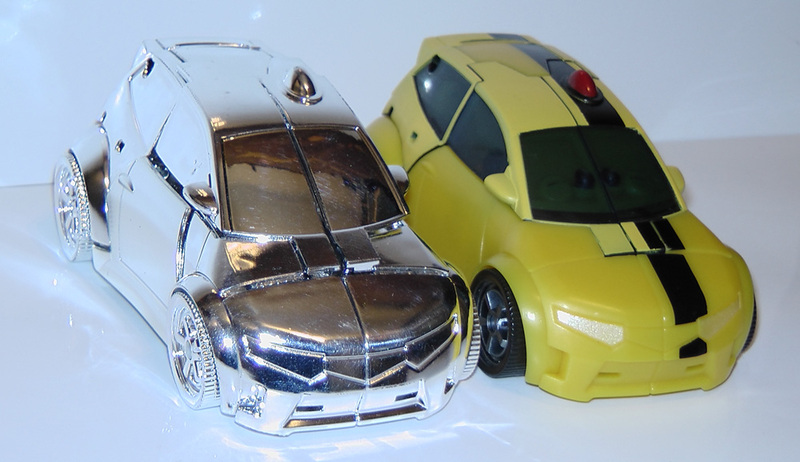 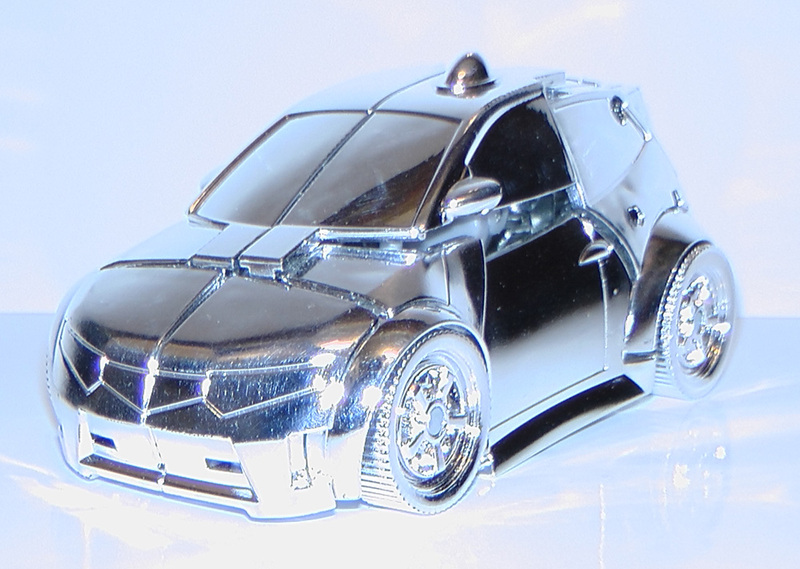 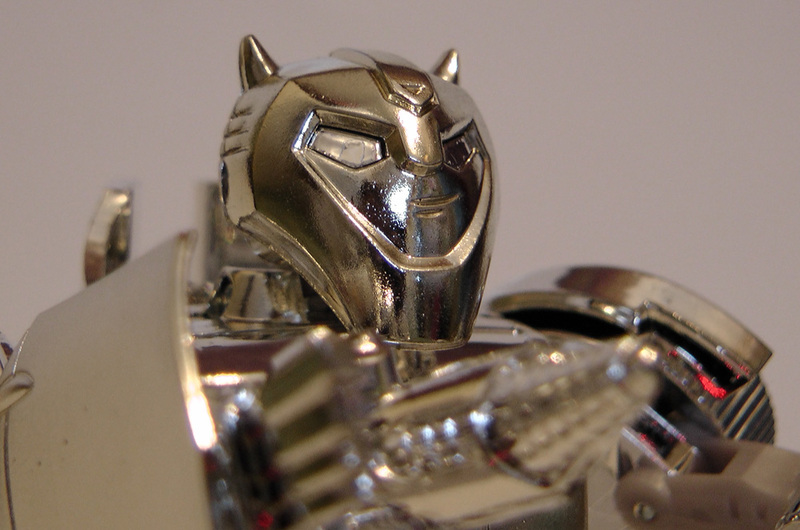 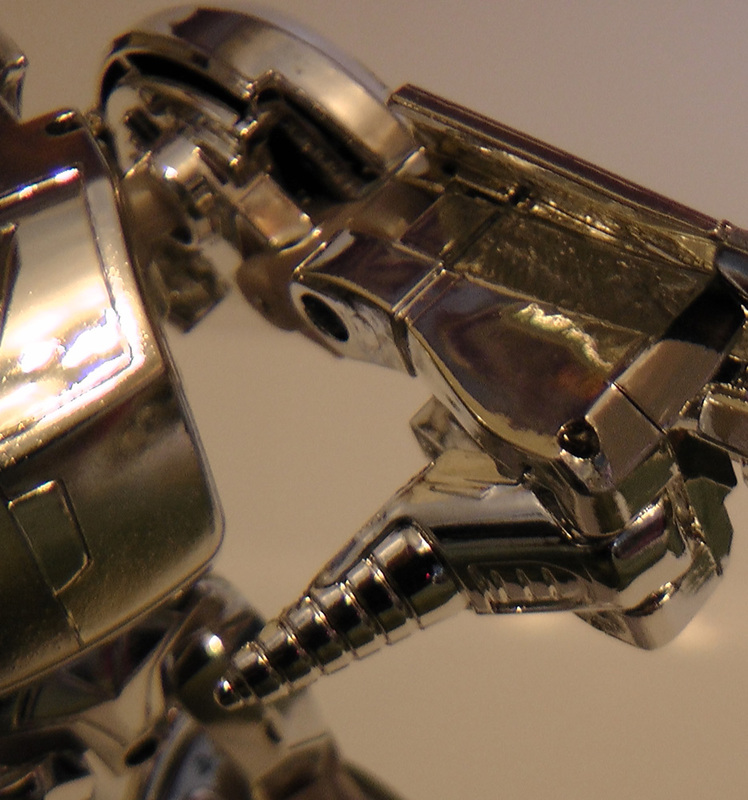 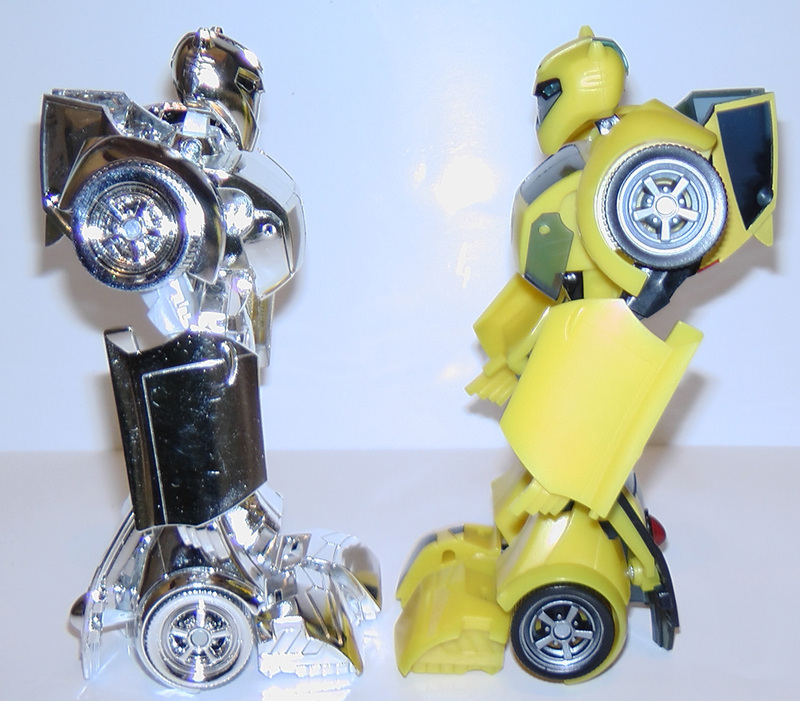 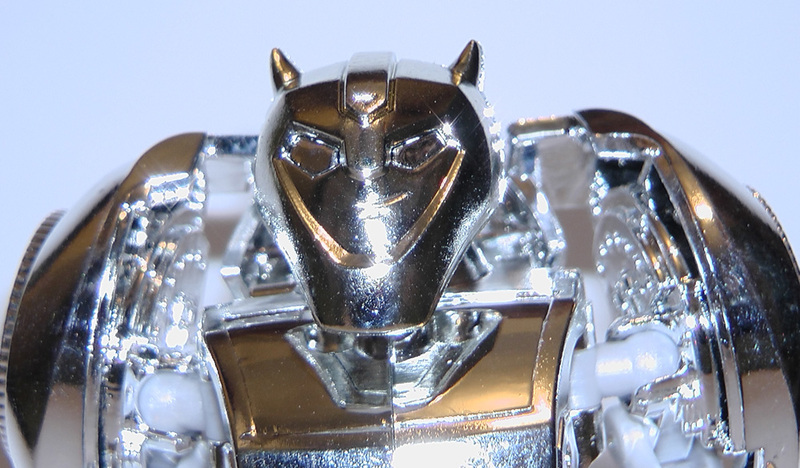 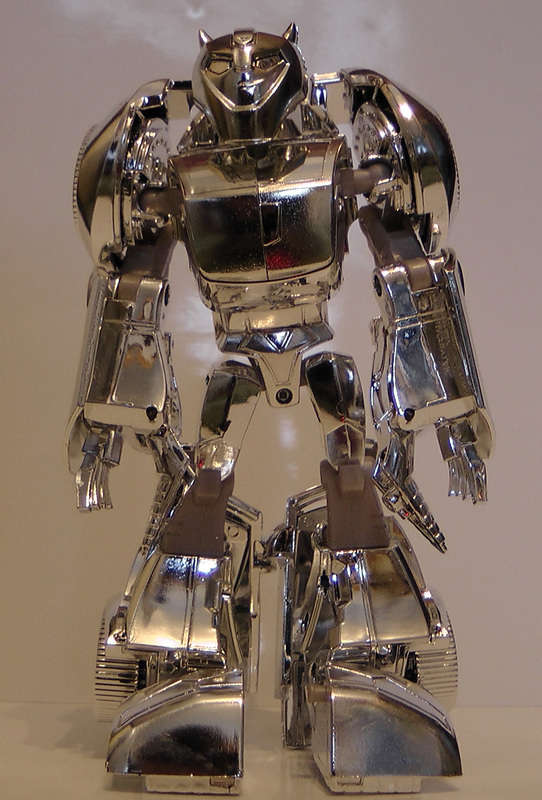 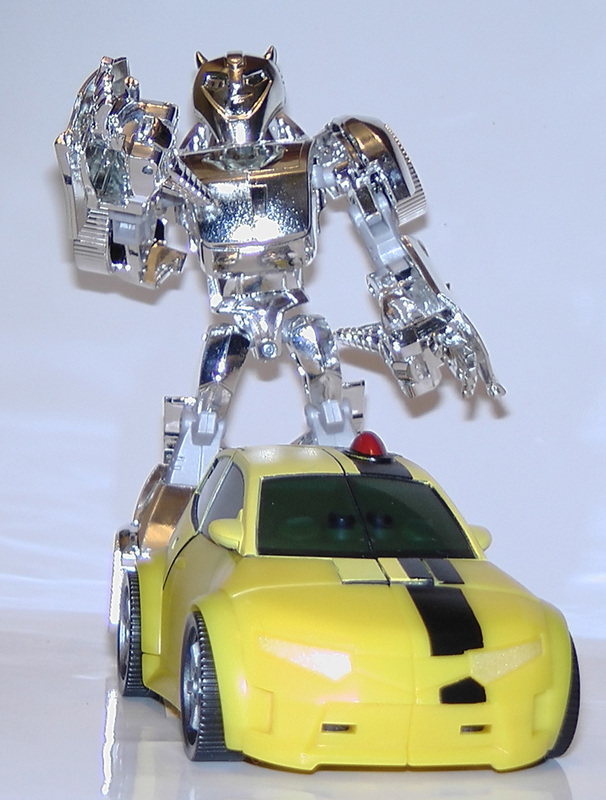 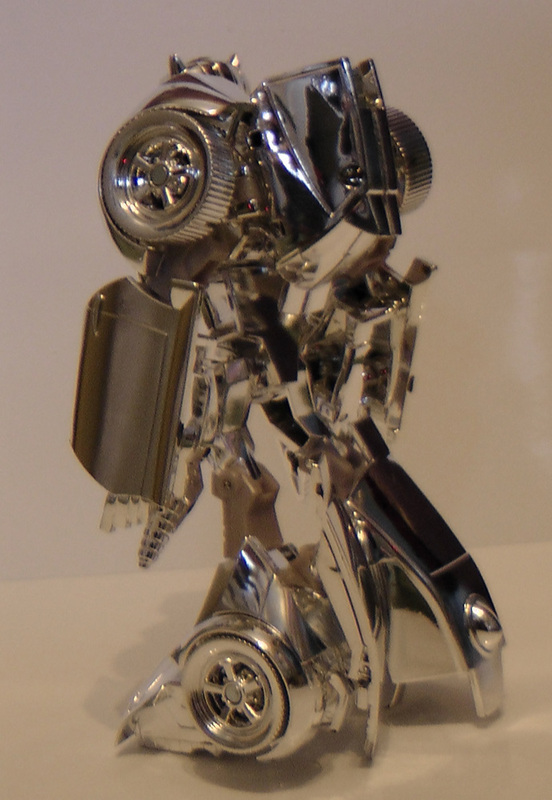 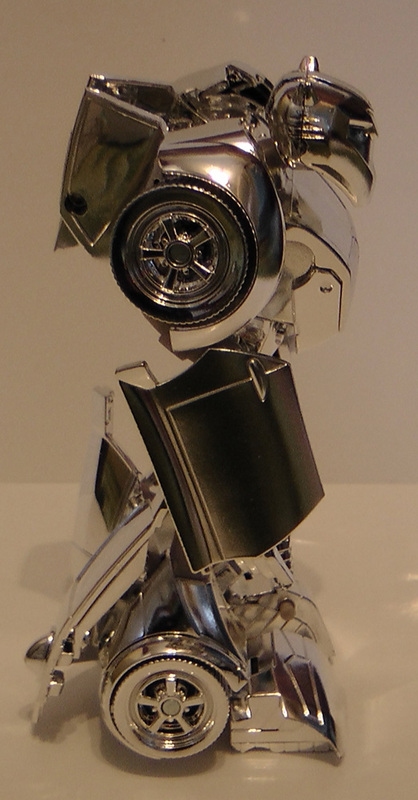 Like all chrome toys, Bumblebee Silver Version is very very stiff. 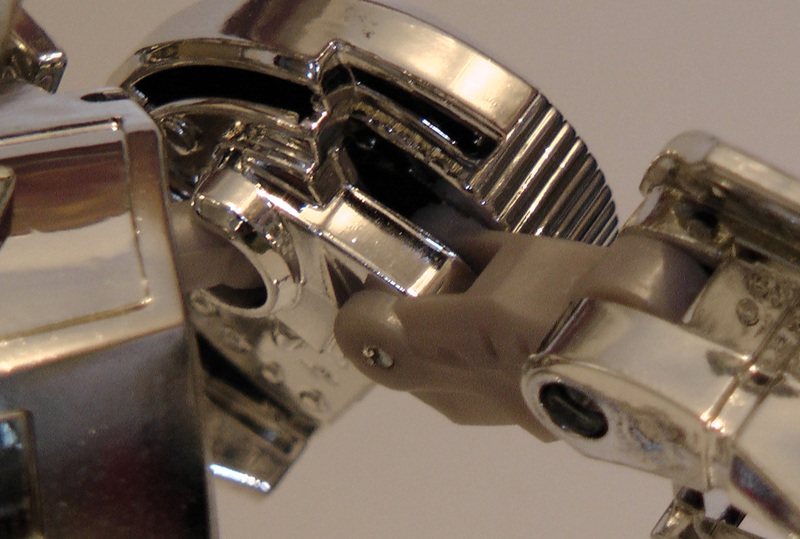 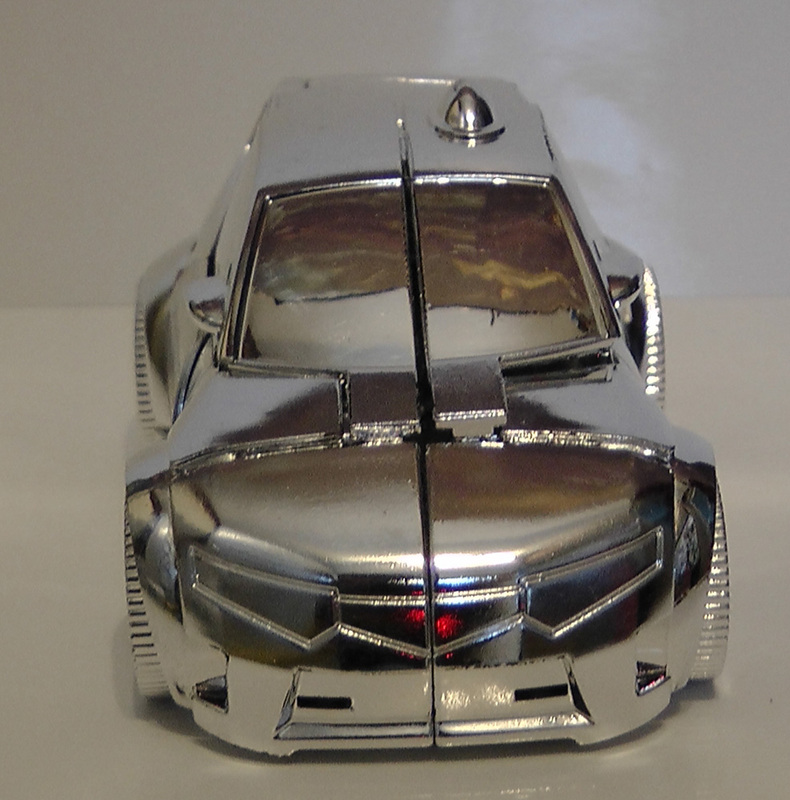 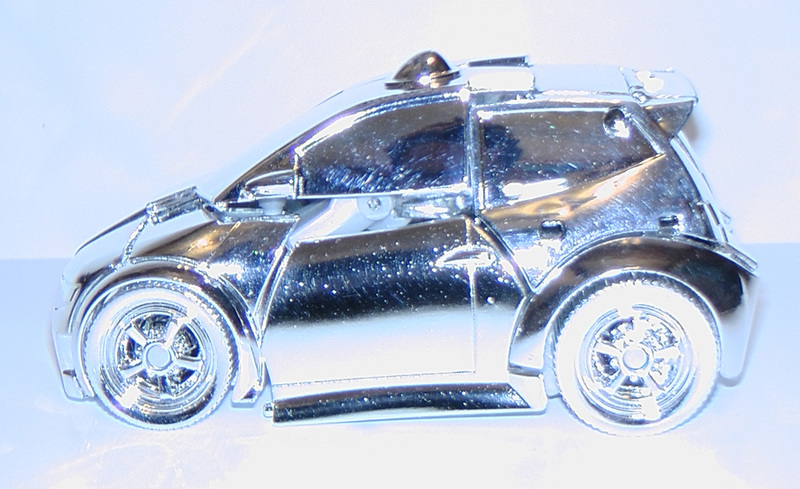 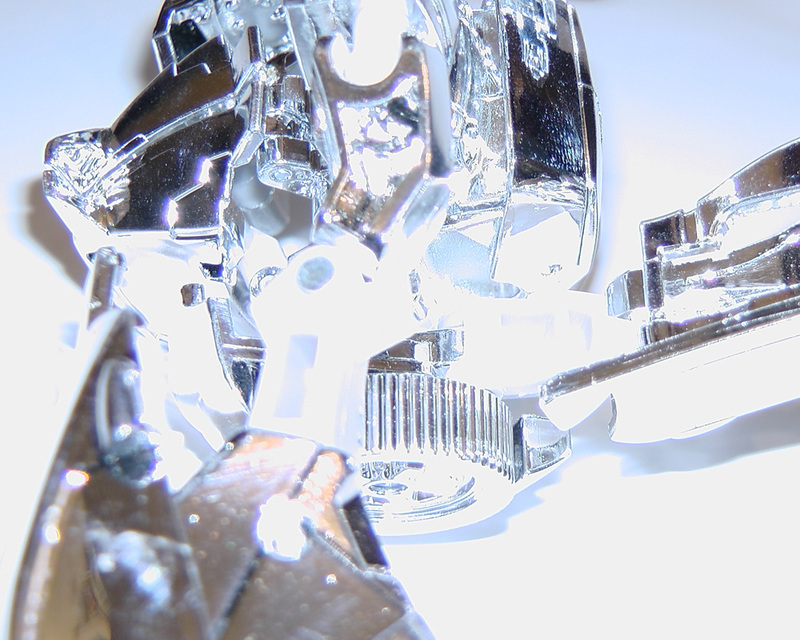 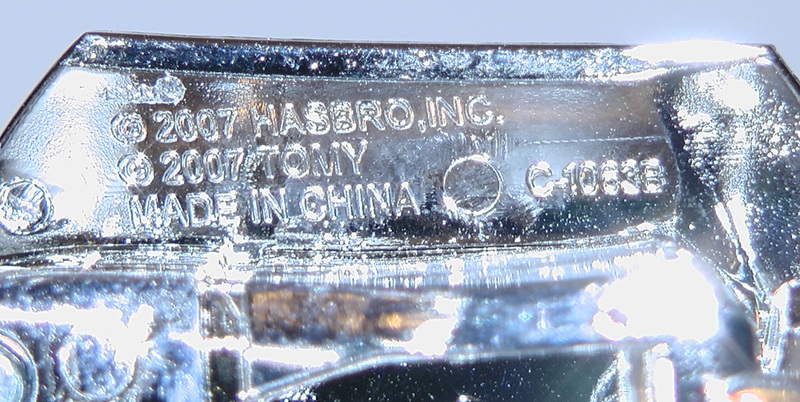 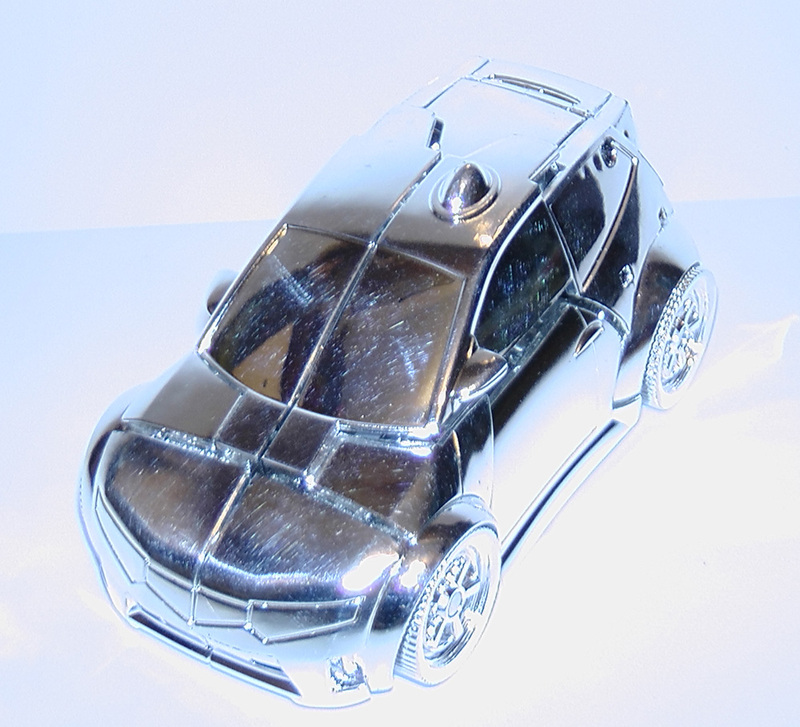 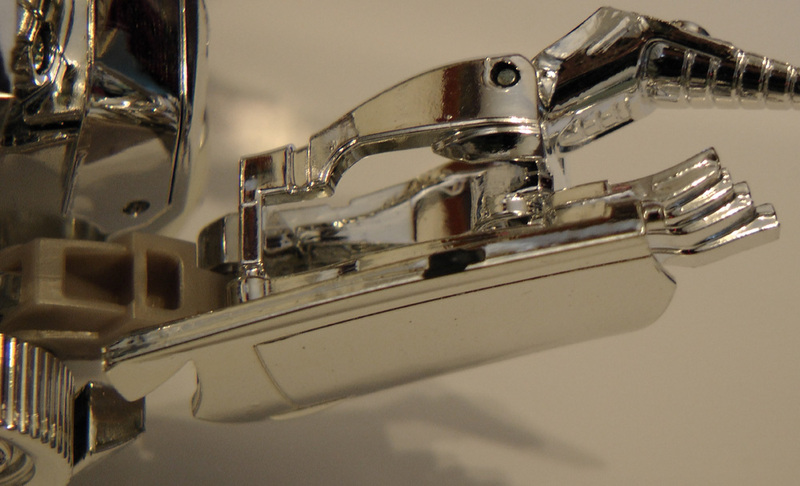 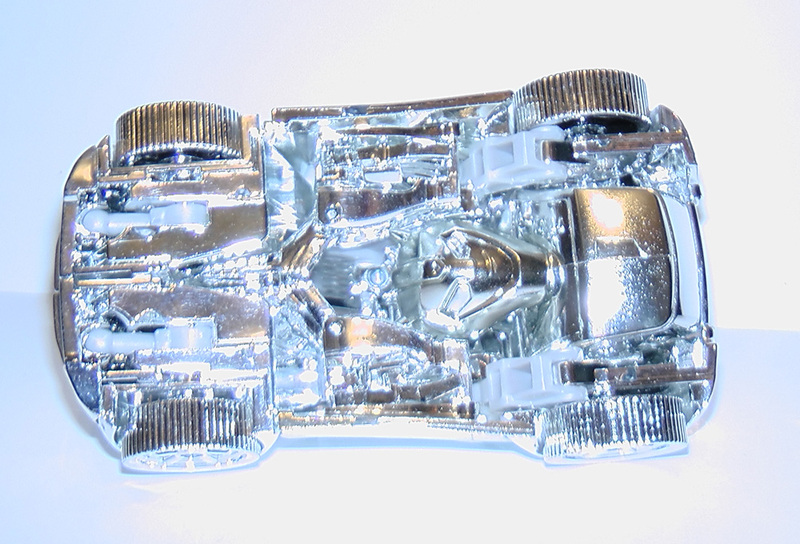 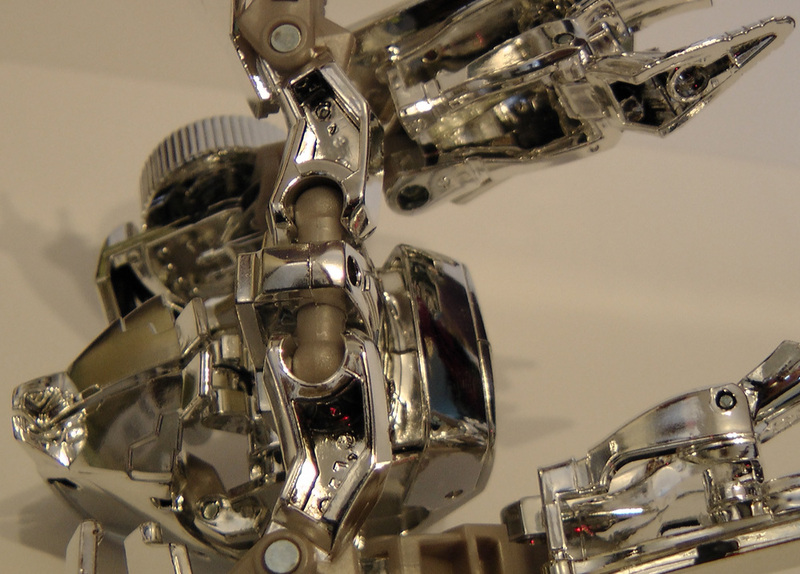 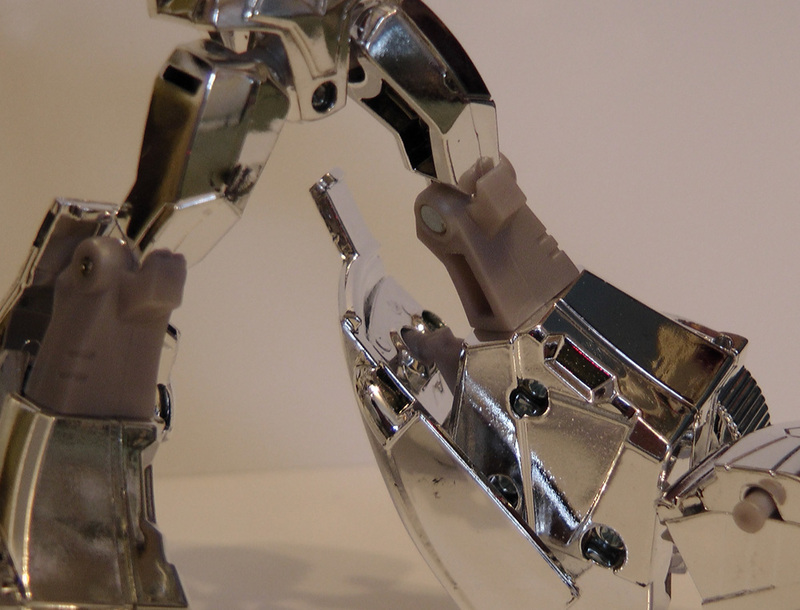 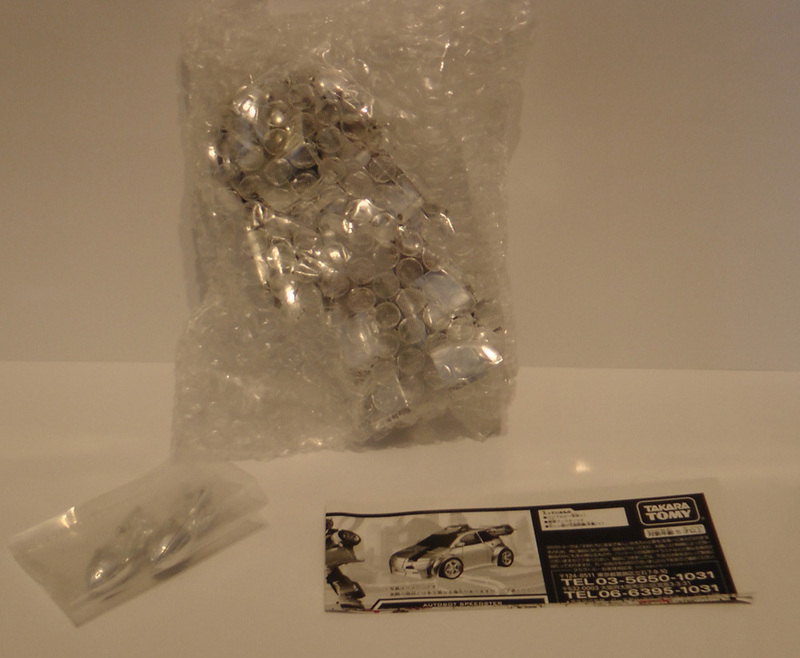 This is because the chrome is, obviously, thicker than paint and the plain plastic which means that the toy can not be transformed properly., as you will notice in the images. 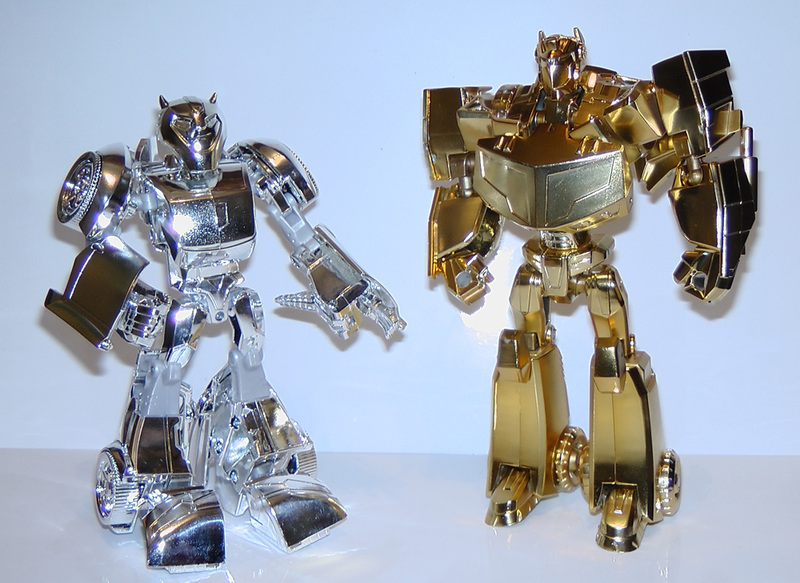 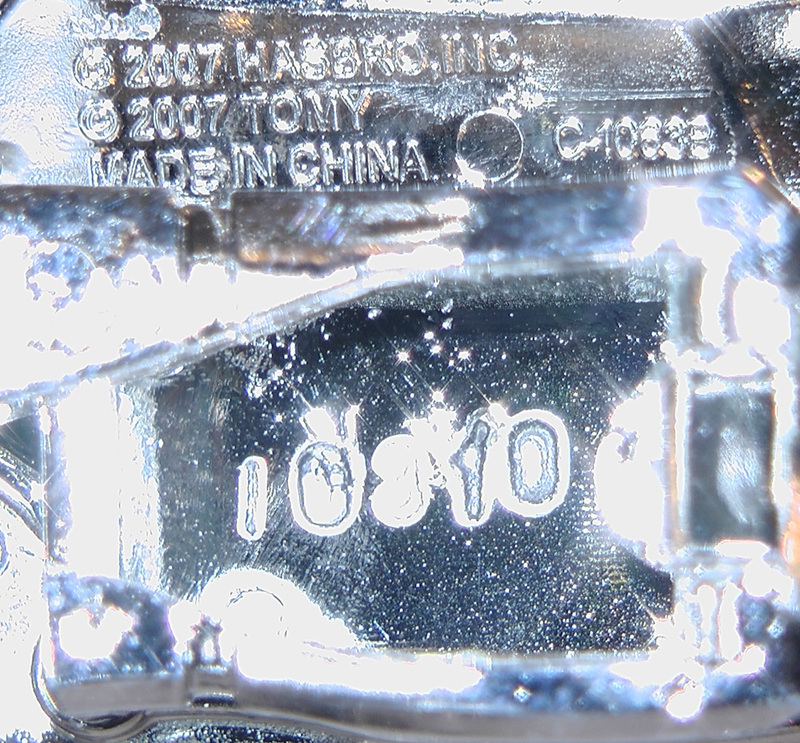 The toy still have plastic joints, but much like the gold toys, they have been cast in plastic that fits with the silver. 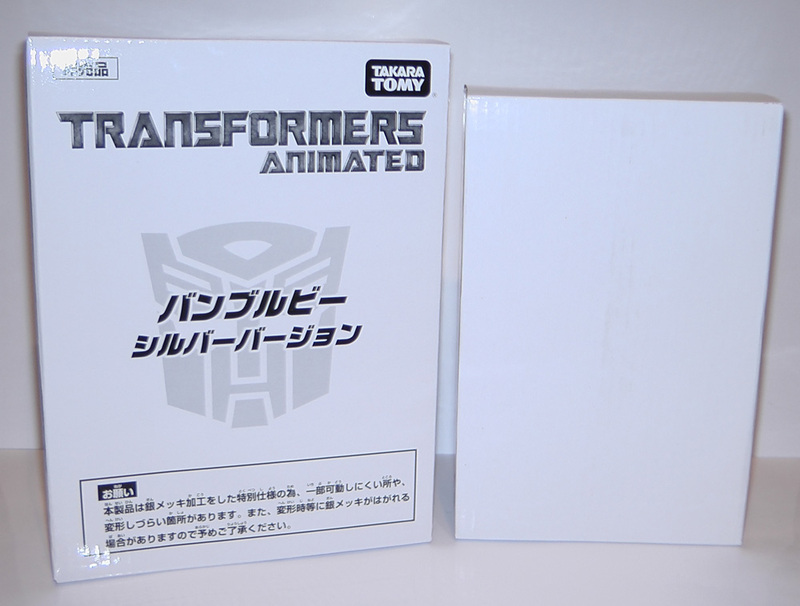 For fellow Lucky Draw collectors, this figure was still sealed when we received him, so we opened him up. 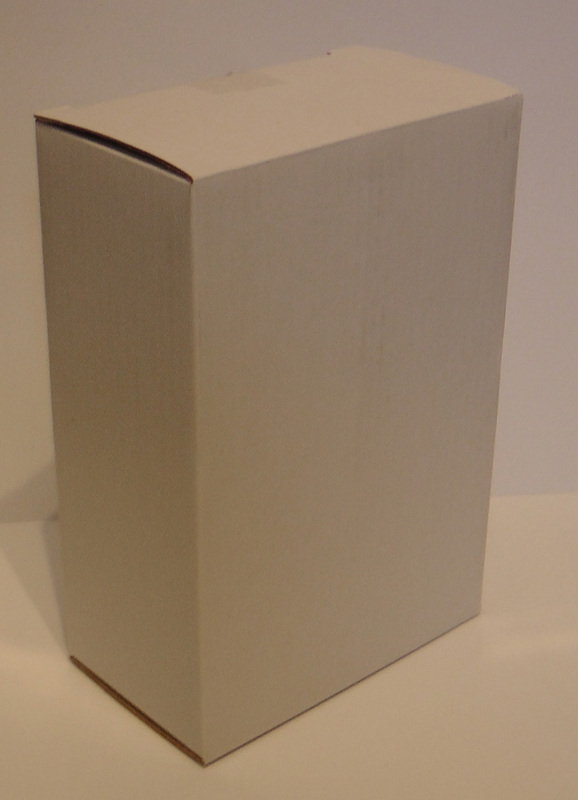 What this means is that the packaging that you see is how yours should be packaged if you are offered one. 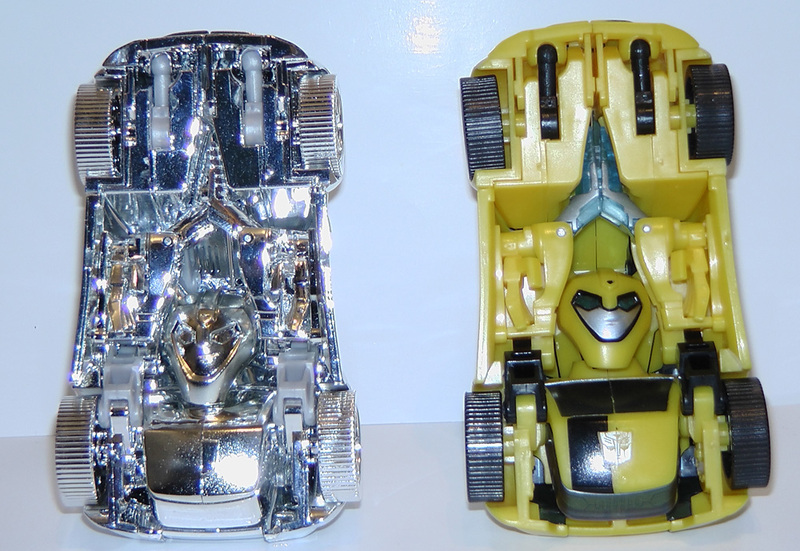 Unlike every other Lucky Draw Bumblebee comes bubble-wrapped inside a small plain box that is then placed inside the main box. 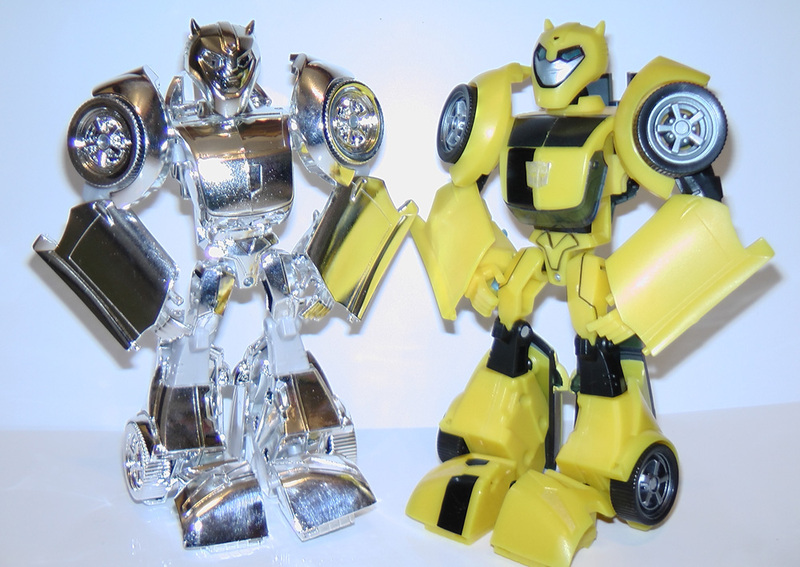 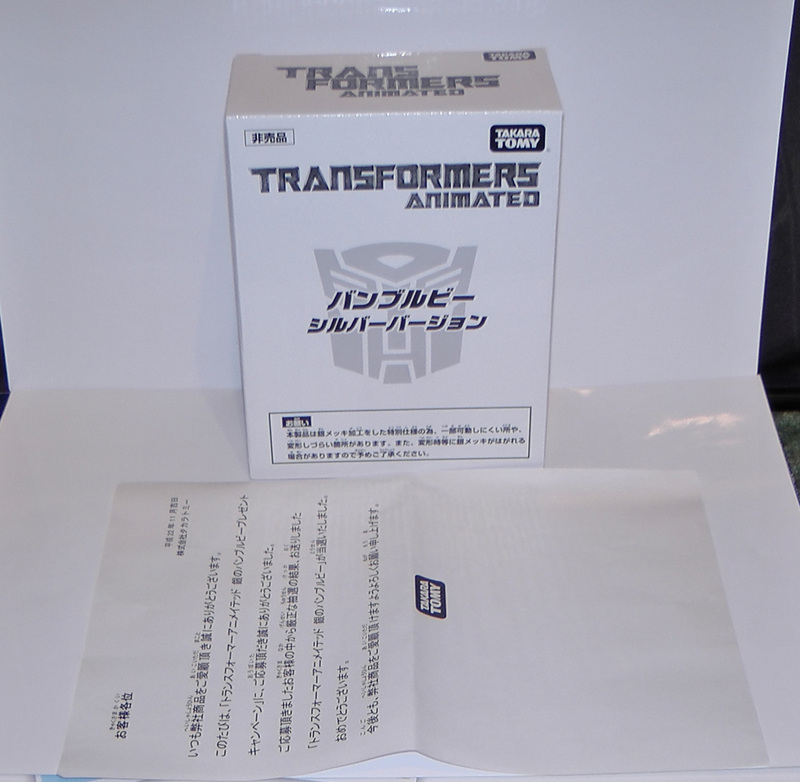 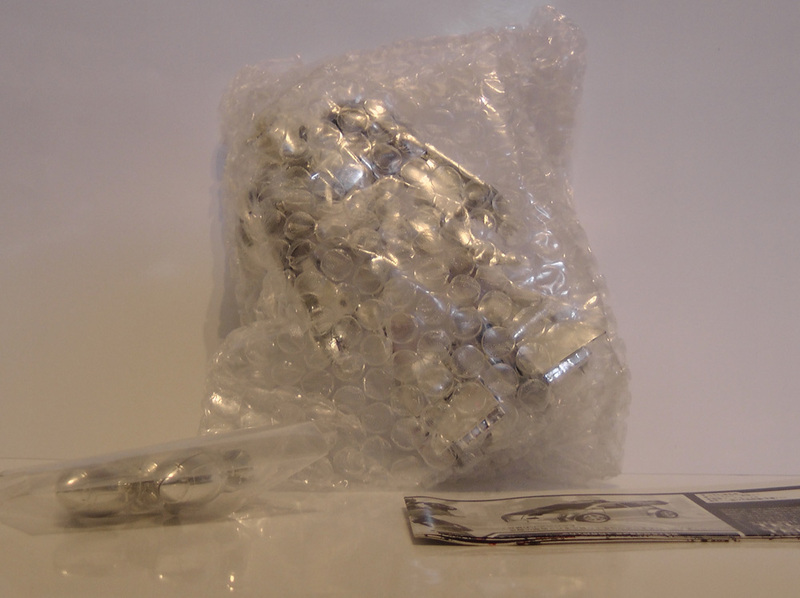 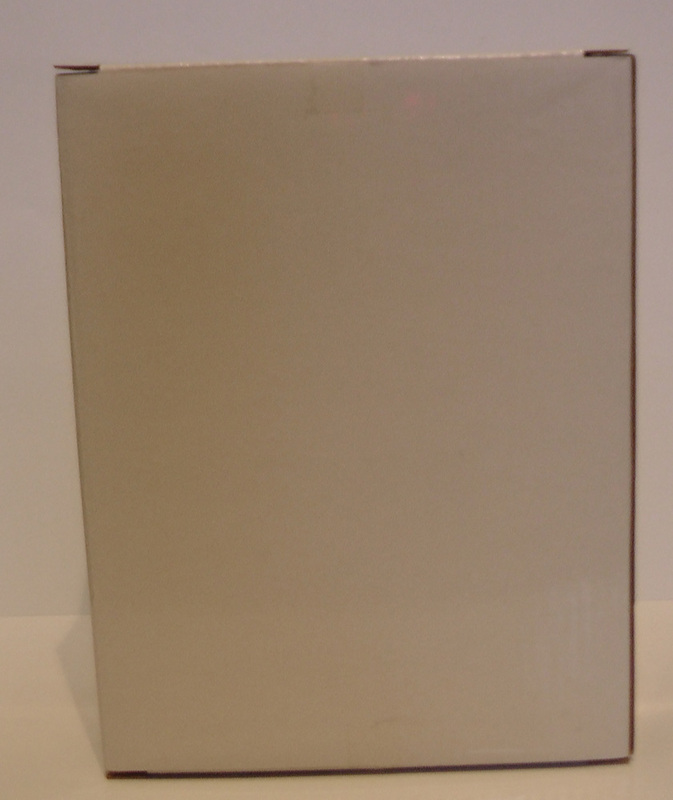 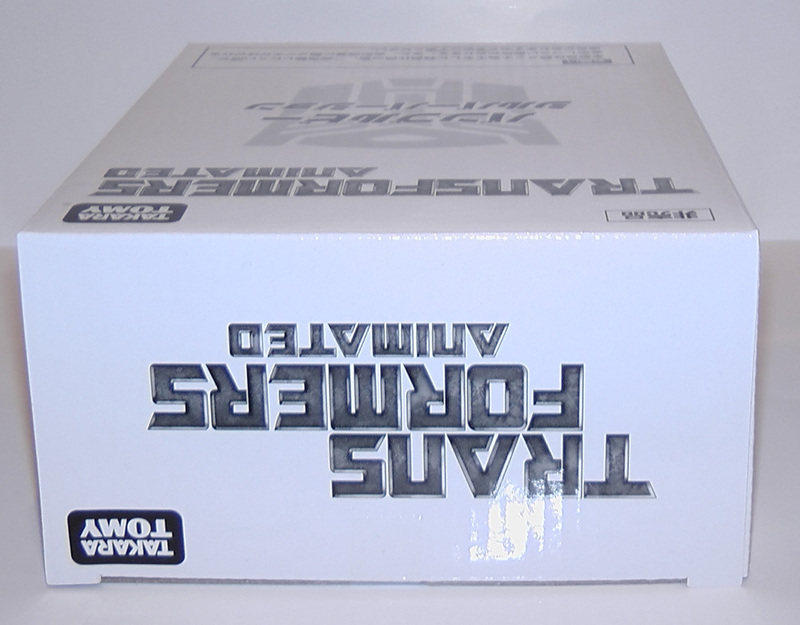 This is because Bumblebee was not released in a box that size before, so the plastic bubble did not already exist, so rather than make one just for the 40 toys, TakaraTomy decided to bubblewrap the figure and seal him within an inner box. 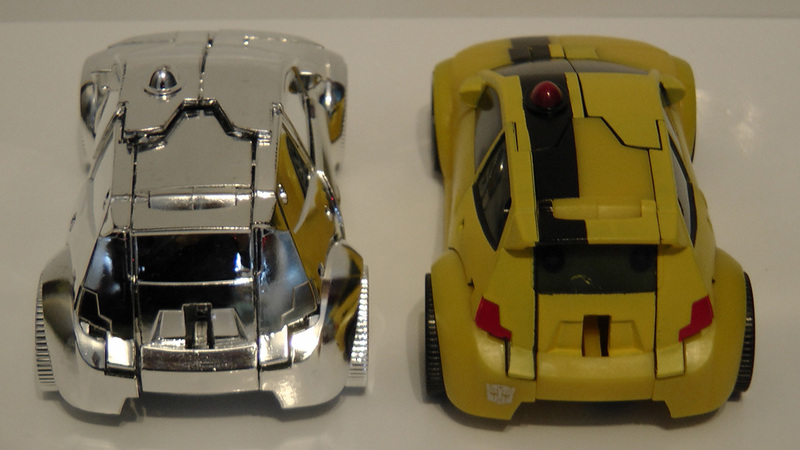 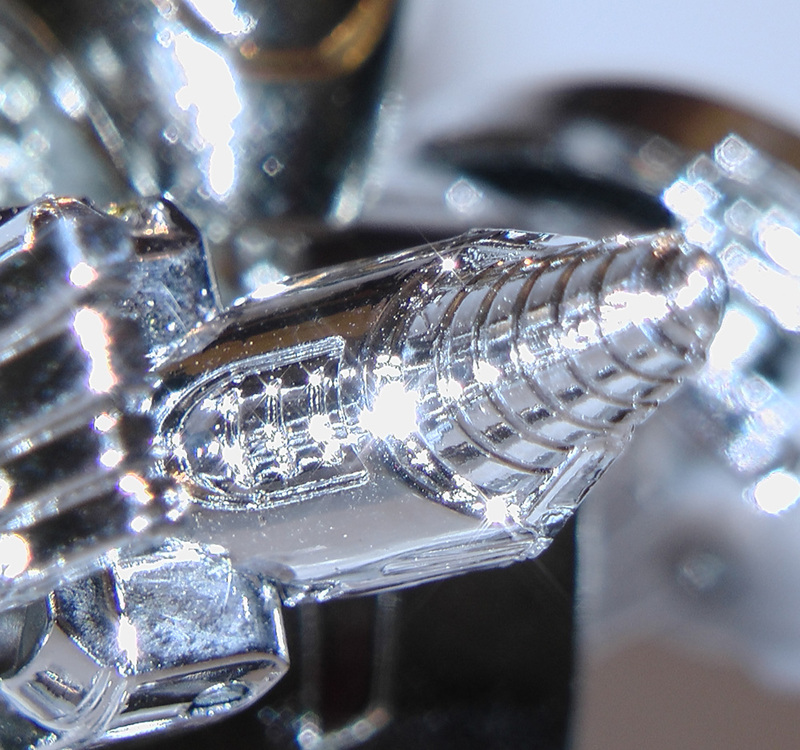 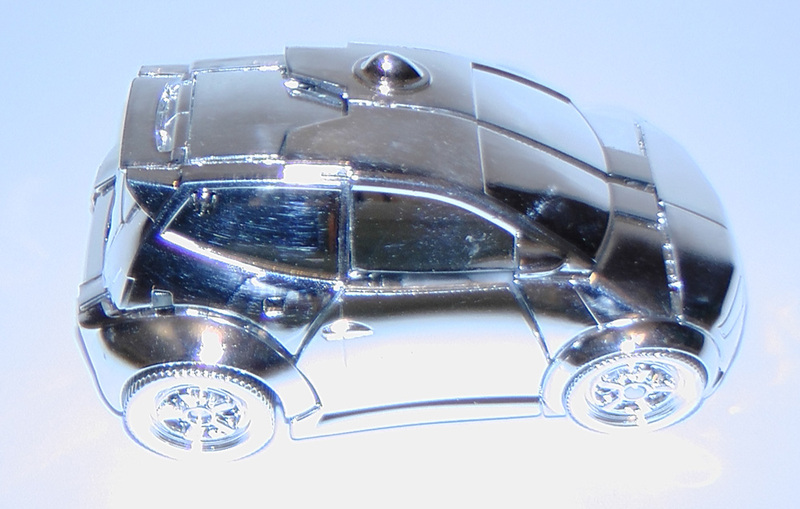 The toy does come with chrome boosters, though I did not photograph them in detail as I did not want to open them from their packet nor fit them to Bumblebee and risk scratching the chrome finish.